If a severe weather related disaster hits your local town right now, are youprepared to survive using the “right” survival gear and everyday items you purchase on a regular basis? According to the Environment America Research and Policy Center, over 243,000,000 Americans have been impacted by at least one weather related disaster in their local areas since 2007 (Over 80% of our countries population). Tornadoes and hurricanes are infamous for leaving thousands without power and confined to their homes for extended periods of time. The average American fails to prepare because they have become so accustomed to being able to go to the local Wal-Mart for any last minute purchases they deem necessary before a disaster strikes. They never stop to consider what could happen if this was no longer an option. Being a survivalist is about more than having a closet full of emergency supplies, it is a lifestyle. Every time you purchase something, you should ask yourself, does this item serve a dual purpose? Can I use it in my everyday life and as a survival tool if necessary? For example, for me it’s a tactical pen. I want something I can carry on me everyday and that has multiple use. You can learn more here. Check out the responses we got after asking 10 preppers, what is your favorite odd ball everyday item that you have found multiple uses for in your daily activities? What is your favorite odd ball everyday item that you have found multiple uses for in your daily activities? Without question, using Biomass to cook food in a Rocket stove. I was a city girl. Who knew? Another odd ball item (that, by the way, is no longer odd to me), is the use of essential oils to virtually replace every single over-the-counter remedy in my household. I dumped the various OTC ointments, potions, and pain-killers in a large box last January and have never turned back. I’ve always had some kind of every day carry (EDC) kit ever since growing up hunting and fishing all over Texas. Something I never really played with until recently is Paracord. I’ve found it indispensable for any kind of survival need, backup tool, attachment resource, key chains, multiple motorcycle needs, fishing kit, and even expedient dog leashes for my 6 year old German Shepard, Josey. I’ve used it to make the bracelet I got on, my survival necklace, key chain pogs, and much more. I keep it near me all the time. It is a wonderful, way underutilized tool with a million and one uses. Who knew “string” could be so cool? My grandkids and I have found a ton of new ways to use it. For example, I’ve taught my grandsons how to make a fishing pole with a branch and the outer string wrap. Paracord and a just right tiny stick cut into a rudimentary fish hook makes a perfect fishing pole every time. I caught my first catfish on a similar pole when I was 13, but used a shoelace instead of Paracord…and it worked. Can’t wait for the kids to get their first bite on this homemade rig. It really does work. This may make you laugh, but one of my boys, Andrew, got this skipping rope for his birthday. I swear it’s so sturdy and flexible at the same time, it’s like nothing I’ve seen before. He says it’s probably made of the same material Rubber Man is made of. He might be right, you know… I take it everywhere with me, I have it in the trunk of my car. It’s great for camping, tying up heavy cargo and I even used it to haul my car once. I use party-poppers as tripwire. I’m not really sure if these would be considered everyday items, but you can get them pretty easily at everyday stores such as Vons or Target in the children’s toy sections. If you don’t know what they are, party-poppers are indoor fireworks. They are basically a cardboard tube filled with confetti and gunpowder with a string coming out of one end. When you pull the string, they pop and expel confetti. What you can do is tie a few poppers together with a string, fasten them in place with tape, and snare the string over something (as you normally would a tripwire). The party-poppers will make a loud bag when the string is pulled! It’s very cool. My brain would be my most useful tool and you could probably say “odd ball” item. What gets me through the day with complete confidence is my self-defense skills and my ability to think logically about any situation. 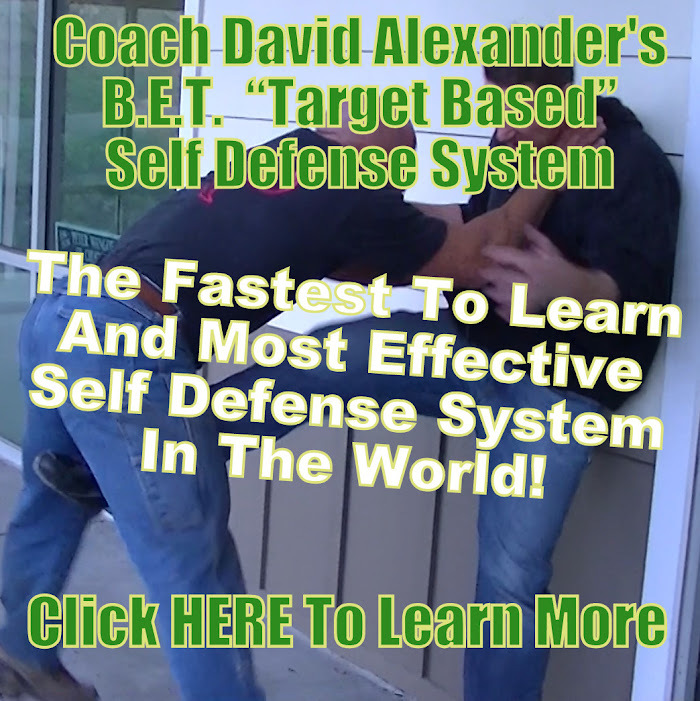 My knowledge of real self-defense gives me amazing confidence that I could handle most situations if something went bad. I have learned and teach a very unique method of self-defense (howtosurviveaviolentattack.com) that can eliminate a threat within seconds and is useful against multiple attackers with weapons. I also have confidence, that what I have taught my family, can possibly save their life if they ever encounter a worst case scenario attack. It isn’t odd at all but my two EDC items are a multi-tool and flashlight. I have used them more times than I can count. You would be amazed at how many times I have needed a simple flashlight, but how often do most people carry one around with them? It’s the same with the multi-tool and I am constantly reaching back for this thing if I need pliers or a knife. I haven’t needed them to cut my way out of a collapsed building or anything like that, but they sure come in handy in the dark or when I need a tool. In my opinion every newbie prepper should first develop a plan of action based on where they are, what their primary concerns are, and what resources they already have available. Prepping in a major city isn’t going to be the same as a prep for the back woods. What are my primary needs if I had to shelter in place? What would I do if I had to bug-out (leave my home)? What would I do if my family was in different locations during an event? What defenses do I need to protect myself, my family and my stuff? If all the stores shut down, how would I survive? What medicine would I need and how would I survive once it ran out? I never buy cheesecloth. To me, buying something as single-functioning as cheesecloth is a waste of resources. I use bandanas, other cloth or even coffee filters to (for example) strain out seeds from cayenne peppers when I’m making my cayenne muscle rub lotions. Coffee filters make an excellent straining tool. In fact, they can be better than a tea strainer, which works just fine for coarse straining home-grown herbal teas. Hmmm, let me see… I don’t know how crazy this is especially if you’re a prepper, but my neighbors sure thought it was strange. I made a wonder oven(looks like a bean bag) and cooked soup for them in it. Often times it rides in the passenger seat of my car so I can throw ice cream or other frozen items in it. And whenever my kids get a chance, they use it as a pillow or chair. Perhaps this isn’t an unusual item but more of an “overlooked” item: buckets. Lots and lots of buckets! When it comes to survival, especially in a SHTF scenario, I can’t think of anything more invaluable than 5 or 6 gallon buckets. For instance, they can be turned into a ready-to-go survival kit and scattered around your property, stored in your vehicle, stashed at a friend’s home, and so on. You can store quite a bit in them if you’re careful. They can be used to store, transport, and purify water. If you learn to make a Berkey Clone filter you can save at least half the price of buying the real thing. Buckets can be turned into a makeshift toilet, hand washing station, laundry wash station, clothes wringer, and more. You can use them in the garden, to store ammo, hold bait, keep long term foods fresh, an animal trap (they make great rat traps), to grow food in, and plenty more. Be sure to include the lids (with gaskets) and if some are food-grade they can store food directly. In order to have the best chances of surviving anything, it is a good idea to go ahead and prepare for everything. You may never end up being able to transform a wrist watch into a high tech compass like MacGyver, but knowing the alternative survival uses of basic household items can be the difference between life or death in the event of a disaster. Find a way to incorporate this way of thinking into your everyday life and don’t forget to share this post with someone who desperately needs to read it. Posted on December 1, 2014, in survival and tagged survival tips. Bookmark the permalink. Leave a comment.